Currently the team has approximately 30 members, including probationary members in training. All members are civilian volunteers who live across the Eastern Area of Dumfries and Galloway. Our team is on call to provide emergency assistance 24 hours a day, every day of the year. 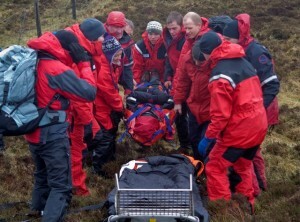 Each team member brings personal experience & local knowledge of the area they cover, which can be invaluable in searches..
As with all Scottish Mountain Rescue teams, We are affiliated to Scottish Mountain Rescue, which is the representing and coordinating body of Mountain Rescue Services across Scotland. 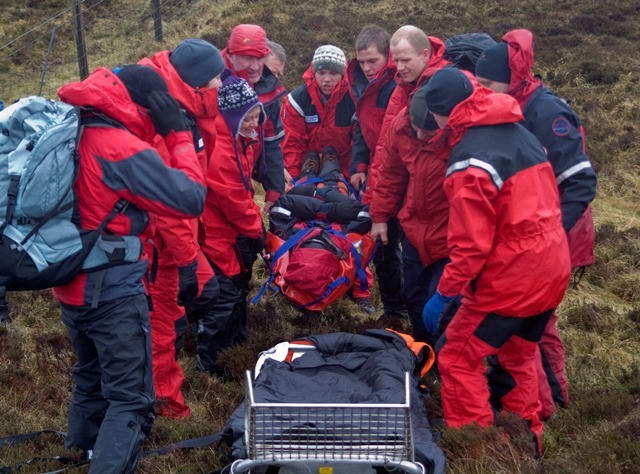 This equipment is essential to ensure the safety of the team and those we rescue. Without it we would not be able to offer the high quality service to those we search for. 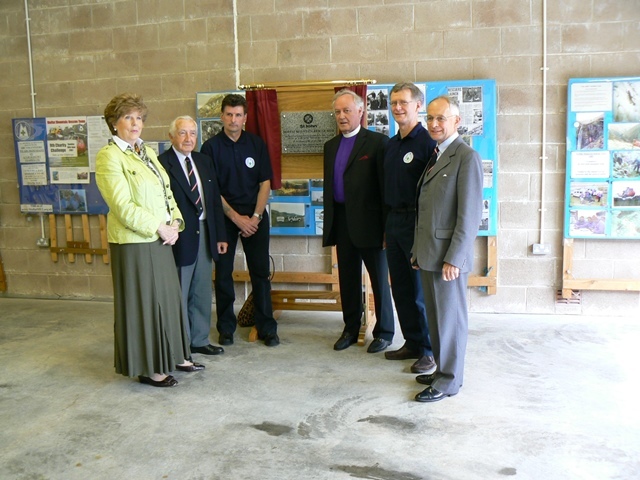 The team base officially opened in 2007, thanks to the generosity of the Order of St John www.stjohnscotland.org.uk. The base has been invaluable to the team. 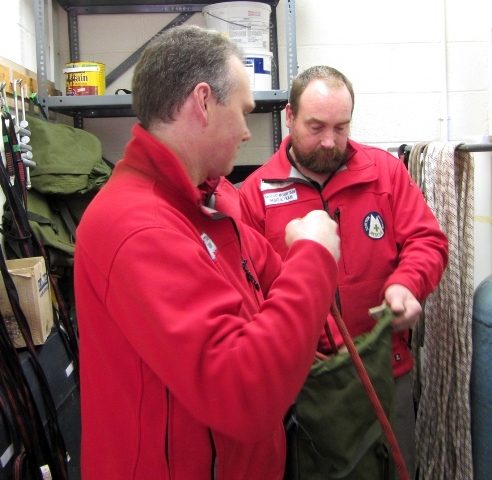 Not only does it offer a place to store, dry and maintain the teams’ equipment, it is the meeting place for many of our searches and training sessions. The training room provides a space for indoor training, doubling up as accommodation, enabling team members to stay overnight when required.